This easy-to-use identification guide to the 300 mammal species most commonly seen in Australia is perfect for resident and visitor alike. The compelling story of a bat, the scientists who tried to save it, its island habitat – and its extinction. 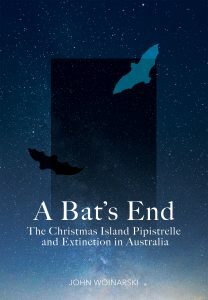 A Bat’s End is a compelling forensic examination of the circumstances and players surrounding the extinction of the Christmas Island pipistrelle. A must-read for environmental scientists, policy-makers, and organisations and individuals with an interest in conservation. A unique insight into one of Australia’s most iconic land mammals. The red kangaroo is at the heart of Australia’s ecological identity. It is Australia’s largest terrestrial land mammal, the largest extant marsupial, and the only kangaroo truly restricted to Australia’s arid interior. Almost nothing was known about the ecology of the red kangaroo when Alan Newsome began to study it in 1957. He discovered how droughts affect reproduction, why red kangaroos favour different habitats during droughts from those after rains, and that unprecedented explosions in red kangaroo numbers were caused by changes to the landscape wrought by graziers. Most importantly, he realised the possibilities of enriching western science with Indigenous knowledge, a feat recognised today as one of the greatest achievements of his career. 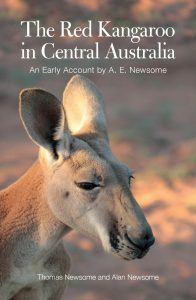 First drafted in 1975 and now revised and prepared for publication by his son, The Red Kangaroo in Central Australia captures Alan’s thoughts as a young ecologist working in Central Australia in the 1950s and 1960s. It will inspire a new generation of scientists to explore Australia’s vast interior and study the extraordinary adaptations of its endemic mammals. It will also appeal to readers of other classics of Australian natural history, such as Francis Ratcliffe’s Flying Fox and Drifting Sand and Harry Frith’s The Mallee Fowl, The Bird that Builds an Incubator. 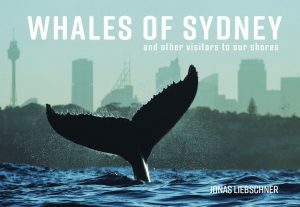 Whales of Sydney is a spectacular photographic book that documents the annual migration of Humpback Whales past the coast of iconic city of Sydney from mid-May to the beginning of December. Showcasing not only the majestic whales but all marine life that can be see during this time, the book demonstrates the whale’s breathtaking behaviours and the interaction between them and the humans watching as well. Sydney has one of the longest humpback whale migrations spanning almost six months and sees a large number of whales swimming past its shores with an estimated number of more than 25,000 individuals at the end of 2016, increasing by about 10% each year. All whale photography has been captured over the past ten years by wildlife photographer Jonas Liebschner, who spends most of his days out at sea during whale watching season, trying to capture these magic moments. About the Author: Jonas Liebschner was born on the 19th of October 1985 in Worms,Germany. After finishing school he started an internship at a German advertising agency for which he worked for the next 2.5 years as a graphic designer, flash developer and project manager. He decided to quit his job and left for New Zealand in 2007, where he travelled the north island for six months. By coincidence he was offered a job as a tour guide with Whale Watch Kaikoura that saw him taking tourists out to see the whales for the next six months. Photography has always been a passion of Jonas, so while he was not paid to take pictures of whales in Kaikoura, he started taking his camera out and took pictures of what he saw on a daily basis. Artist/Author: Hall, Les and Steve Parish. 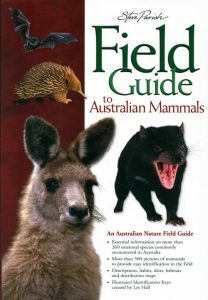 This user friendly guide provides essential information on over 260 mammal species commonly found in Australia. This guide teams full colour photographs and biological information with the natural history of the animal’s environment, habitat and evolution. 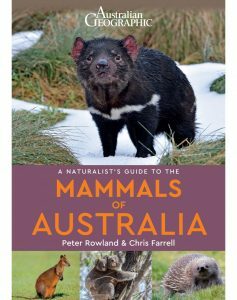 Also included are interesting snippets and fascinating facts about each family and genus, and how Australian mammals came to be so different from those on other continents. Also includes a section on wildlife photography by award winning photographer Steve Parish. Artist/Author: Vogelnest, Larry and Graeme Allan, editors. Interest in the conservation and welfare of Australian native wildlife continues to grow and veterinarians are now frequently asked to treat these animals and be involved in conservation programs for threatened and endangered species. In Australia and overseas, Australian mammals are used in research, kept as pets and are popular display animals in zoos and fauna parks. 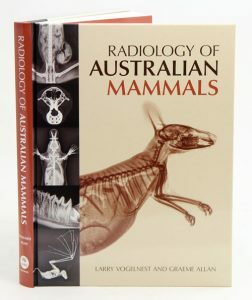 This book gives a detailed account of the unique radiographic anatomy of Australian mammals. It provides veterinary practitioners and zoologists with descriptions and images of normal radiographic anatomy, which will be valuable in the study of these animals and assist with the diagnosis of injury and disease  knowing what is normal is essential in order to recognise what is abnormal. A discussion of the importance of radiographic technique, covering restraint and positioning of the animal to obtain diagnostic images, is followed by chapters showing the normal radiographic anatomy of short-beaked echidnas, platypus, macropods, koalas, wombats, dasyurids, possums and gliders, bandicoots and the bilby, and bats. Each chapter includes a detailed description of anatomy relevant to radiography and multiple images of normal radiographs with outlines and annotations highlighting structures and organs. This book also includes a chapter on dental radiology, as well as radiographic pathology case studies describing common diseases and injuries that can be readily diagnosed on radiographs, which will assist veterinary practitioners in making diagnoses in their patients. 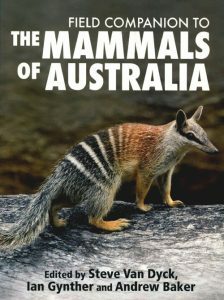 A checklist of the mammals of Australia and its territories and a glossary of abbreviations and terms used for annotation of images complete the volume. Images of animals generate perceptions that have a profound effect on attitudes toward species. 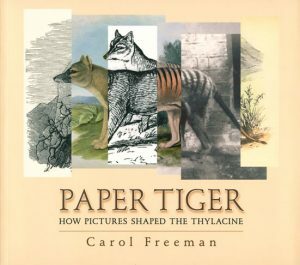 Paper Tiger considers the role of illustrations in the demise of the thylacine or Tasmanian ‘tiger’. It critiques 80 engravings, lithographs, drawings and photographs published between 1808 and 1936, paying attention to the messages they convey, the politics of representation, and the impact on the lives of animals. This approach challenges conventional histories, offers new understandings of human-animal interactions, and presents a chilling story of just how misleading and powerful visual representation can be. It demonstrates how pictures, together with words, can have a vital influence on species’ survival. Artist/Author: van Dyck, Steve, Ian Gynther and Andrew Baker, Editors. 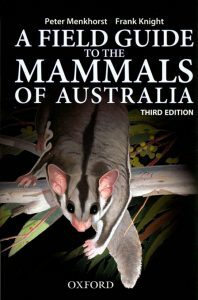 This invaluable companion to The Mammals of Australia (3rd Ed) is intended to be taken out into the field and used in conjunction with the more comprehensive volume. Genuinely practical in the outdoors, this book includes accounts of 389 species and newly developed, comprehensive identification keys. The Field Companion is introduced by a Mammal Distribution Matrix, which provides a classified checklist of all mammals in Australia (including those extinguished since European settlement) and the distribution of extant species in each State and Territory. Species accounts provide initial differentiation, and include notes on identification, size, abundance, habitat and federal list/status, photograph and distribution map, as well as key references, which provide quick access to all relevant state identification keys in the Field Companion and to the longer entry in The Mammals of Australia. The authors have developed separate keys, illustrated with detailed drawings and maps, for the six States and the Northern Territory, to simplify the identification process and allow the reader to confidently separate all mammal species, no matter how subtle the differences. With the addition of these identification keys, this book becomes more than a field guide ? although it is intended primarily to be used outdoors ? and allows the user to finish identification based on more obscure characteristics, which is an advantage for some hard-to-identify species groups. 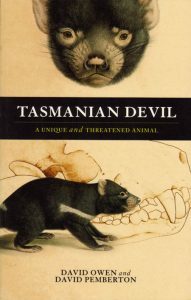 Tasmanian devil: a unique and threatened animal. Artist/Author: Owen, David, and David Pemberton. Comprehensive and easily readable book on the animal that has the distinction of being the world’s largest marsupial carnivore. It is packed with information that has either never been published or has only been found in scientific publications. Killers in Eden: the story of a rare partnership between men and whales. For a century, the killer whales of Twofold Bay, New South Wales, herded Baleen whales towards the harpoons of local whalers, helping them hunt and sharing the rewards. It was a life of industry, adventure and a strange and rare partnership between whale and man. 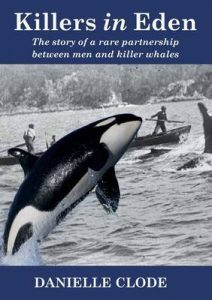 In this book, Danielle Clode explores how this relationship between whaler and Killer whale developed. Using our knowledge of killer whales to entangle fact from myth, Danielle uncovers the truly remarkable history of the killers in Eden. Artist/Author: Menkhorst, Peter and Knight, Frank. A comprehensive field guide to identifying all 378 species of mammals known in Australia. A major updated and redesigned edition of this best selling guide includes colour-coded pages and endangered species symbols for easy reference. Provides concise and accurate details of the appearance, diagnostic features, distribution, habitat, and key behavioural characteristics of all mammals known to have occurred in Australia or its waters since the time of European settlement. The book uses classic field-guide layout, and each double page spread provides all the information needed to identify an animal, a full colour illustration of the entire animal, a distribution map, and species description and measurements, including details of how to differentiate between similar species. 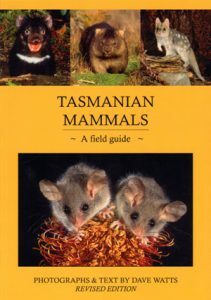 Incorporating colour photographs, distribution maps and concise text, this book is a handy guide to the mammals of Tasmania.